Cranfords are pleased to offer to the market this detached family home situated close to the local amenities and L’Islet beaches. 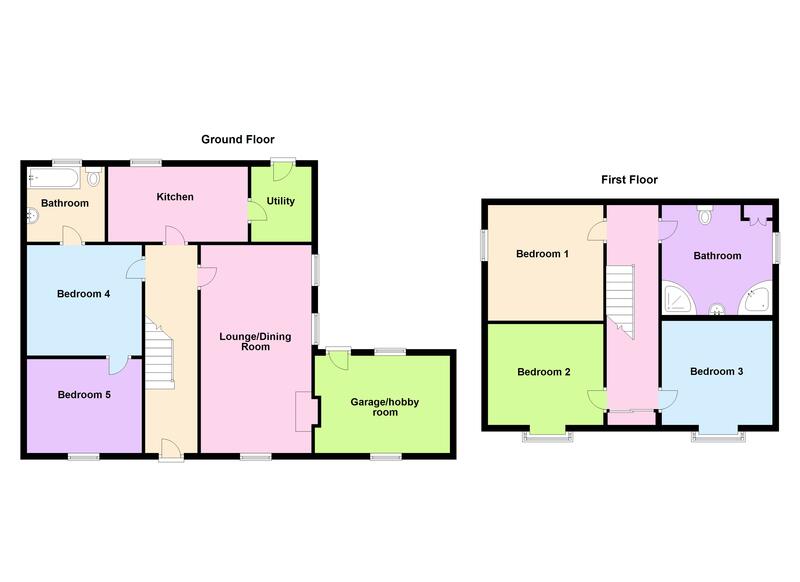 The house is currently divided into a main house with wing, however, plans have now been passed and it is the owners intention to revert the wing back into the main house to provide accommodation comprising of an entrance hall, kitchen/breakfast room, large lounge/diner, utility room, two bedrooms and bathroom on the ground floor, whilst on the first floor there are three further bedrooms and a family bathroom. The works for this have not yet been completed. Externally there is plenty of parking, a single garage/hobby room and a large rear garden. Grand Frere could be a great family home with lots of potential in a convenient and central location. Call Cranfords on 243878 to book your viewing. 14’7’’ x 7’9’’. Appliances include built-in Hotpoint double oven with four ring hob and extractor fan over and built-in fridge freezer. 8’ x 6’11’’. Trianco boiler. Hotpoint washing machine. 17'7'' x 7'11''. Power and lighting. Mains electricity, water and drainage. Oil-fired central heating and Electric night storage heating.